Do you ever wonder what kind of a sense of humor someone had? I have wondered that several times recently as we have seen some unusual things on our field trips this year. 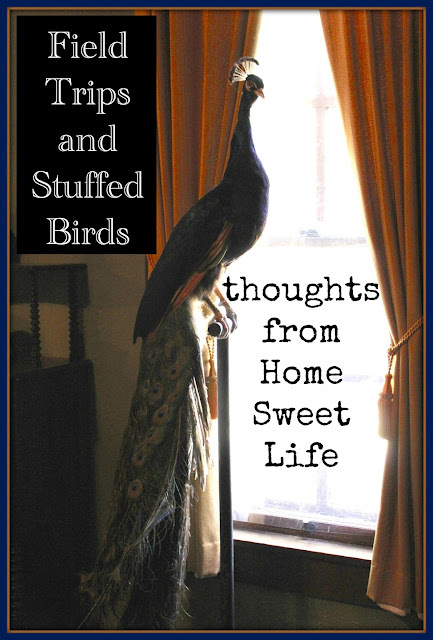 Did you know that apparently keeping stuffed birds used to happen a lot in Indiana? Why else would Gene Stratton Porter have a stuffed Eagle and T.C. Steele have a stuffed peacock? What? Are you wondering why those things stuck out to me from our field trips? I was too, until I realized that we all see things just a little differently than the person standing next to us. Sometimes our family will have been on a field trip and when you hear us tell someone else about it you might be thinking we went three different places because we describe it so differently. There were so many, many wonderful things to look at when we went to T.C. Steele's studio and House of the Singing Winds in Brown County, Indiana, that I hadn't even remembered that there was a stuffed peacock in the house until I went back and looked at my photos again. How could that be, wasn't I the one taking the pictures? I was! Yet, when we went to Gene Stratton Porter's home in Geneva, IN, back in the Spring I easily remembered the stuffed eagle. Perhaps it was the stories that went with the stuffed eagle that made it more memorable, or maybe I was just in a different mood that day. Whatever the reason, I don't think I'll be surprised by seeing stuffed birds anymore in a historic home. Why was I thinking about Field Trips anyway? I was reviewing the things we had done together this past 12 months. Emily is getting ready to graduate High School next month and I will be the first to admit we have managed to fit an amazing amount of living into the past 12 months! We did some bookwork too, but I'm hoping she remembers the other things more. Here is why: I graduated High School 25 years ago. So very, very little of what I learned from those books in High School has been crucial to my adult life. And yet, having graduated gave me a freedom to explore the world that would have been lacking if I had not spent time on those books and graduated. How can we provide our children a balance between the book learning they need to graduate and the real life adventures they want? Field Trips! Our life has been full of field trips since before the girls were even officially old enough to count their schoolwork. If you're feeling burnt out by the bookwork, why not spend some time planning some field trips. They need not cost much. We have first hand experience that field trips can be done on a shoestring budget. Some of our favorite field trips for High School include historic homes, but there are so many great places to visit. You may need to investigate to find the most economical way to take your trips, but please, please - take them! Many sites have family caps on entrance fees or a free or reduced evening each month. Do your research, and then get going. Pack a lunch, grab your coat, and get moving. There will always be time for bookwork. There are only so many opportunities to fit in the outrageously funny, unique, or interesting memories you will make with your children on field trips, don't miss them! Dear Mom, your children will grow up before you know it. The days are long, but the years truly are short. Appreciate the gift of having your children at home with you while you can. Hopefully soon I'll get some more pictures edited and then I can tell you more about some of our favorite field trips from this year. In the meantime, go have your own adventure! Have a fun-filled, field trip-based week! Has it really only been a week since last Friday? It seems much longer than seven days since I wrote the last weekly wrap-up, but the calendar says its just been a week. Saturday morning found all four of us hard at work going through the house and adding things to the giveaway pile. When everyone pitches in this goes so much faster! While we have a designated giveaway spot in our home, at least a couple times a year we make an effort to dig deeper and declutter on a bigger scale. Since it had been 75 on Friday, and we woke up to about 28 and some spitting snow on Saturday, our plan was to bring down the cold weather clothing from the attic. Besides the things we each knew we needed to find in the attic, we also took time to go through all the clothing totes and see if there was anything to add to the giveaway pile. Saturday afternoon Emily treated us to a movie.It is kind of weird when your children get older and get a paying job away from home. They end up with a little spending money of their own. It was really nice to be treated to a movie. If your children are still little, just trust me on this. It is different when they grow up. On Monday, Arlene and I loaded up the car with the donation pile, heap, mountain and took it to our local Christian Center for their homeless outreach and resale shop. We hope others can be blessed with the warm clothing we no longer wear. Then we headed to the library. Arlene is studying Indiana history during this, our Bicentennial year, and some of the history books she is reading are reference books and cannot be checked out from the library. That is OK with me because the special Indiana reference room is usually pretty quiet. I took my laptop along on our trip and used the time to crop photos and get some posts ready for the blog. That afternoon Arlene cooked our turkey. We knew we were not going to be home for Thanksgiving dinner, but who wants to pass up turkey for only $0.79/LB?! We have had plenty of leftovers to enjoy all week long! Tuesday found us at the gym again so Arlene could get in some more swimming and I could work out. We really enjoy the blessing of being able to swim indoors year round, even if it is a bit of a drive to get there. When it gets cold, my joints have an affinity for the hot tub, even if I do have to wash my hair and skin twice just to get the chlorine smell out. After the gym we headed to my Mom's for lunch and them picked Em up from work on our way home. Are you getting the idea yet that this was a non-schoolwork week, because I am-LOL! That is pretty normal for us around the holidays. I've been enjoying my time off work this week, and I'm pretty sure Arlene has enjoyed a few days without her schoolbooks. That is one of the simple joys of home education - scheduling a vacation break when it fits your schedule, and not having to follow a schedule laid out a year or more in advance. Wednesday was a baking and cleaning day for the girls. I spent a good amount of the morning working on getting things ready for the blog. Because my time off of work is limited, I wanted to make sure I got a few things ready to schedule out, but I wanted to do it when the girls were busy with other things so they wouldn't feel like they were competing for my time. We all enjoyed a slower day in preparation for Thanksgiving. Since this was the girls' first time to attend a regular season game, and because it was getting downright chilly, we went ahead and packed up the tailgate party a little early and headed to the stadium. Our girls had never been in Lucas Oil before, although we've driven past it numerous times when we visit Indianapolis. It was really fun to watch the Steelers win - even if we did get home really late! Part of the way through the night Emily commented about how much different it is to watch the game live versus seeing it on TV. Today we slept in - hooray! Well, Arlene and I slept in. Kurt and Em headed to work. Arlene and I had already decided that there was not anything in the local Black Friday ads to tempt us to get up early after being out late, so we just took our time this morning. I'm actually writing this after lunch while waiting for the oil to be changed in my car. Nothing extraordinary happened with Arlene's schoolwork this week, but we made lasting memories with both of our daughters instead. That is something to be Thankful for this week! We hope you had an great week! 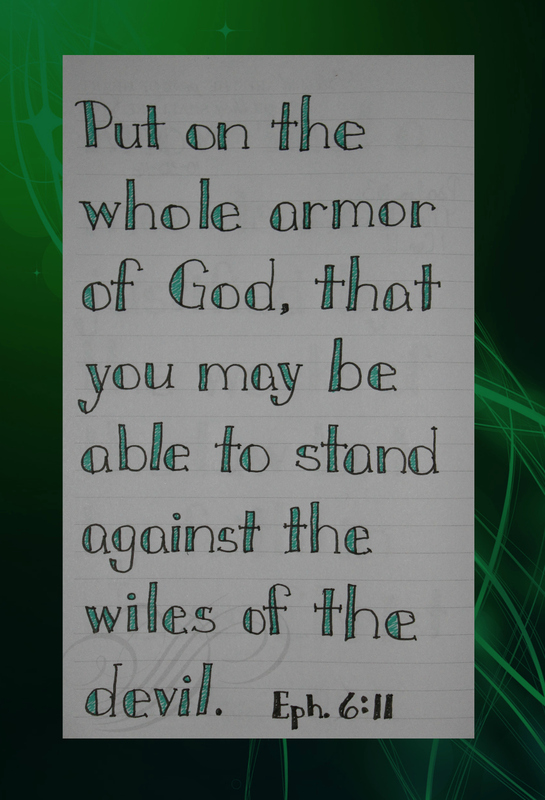 May your hearts overflow with thankfulness as you focus on the great blessings God has bestowed upon us through Christ. 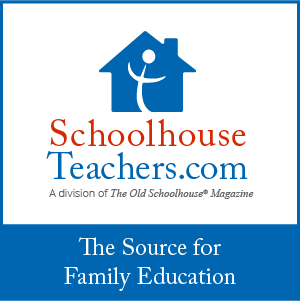 Hopefully most of you know by now that we love being able to choose resources from SchoolhouseTeachers.com to use in our home when we need or want something different. There are hundreds of courses available, but as a family with High Schoolers, we usually choose the shorter lessons as a break from, or an addition to, our current course of study more than as our main spine of curriculum. This is just a choice we have made because we have been blessed with so many great book based curriculum options with our position on the Homeschool Review Crew. But today? Today I have awesome news for you (& me) about a partnership SchoolhouseTeachers.com has just started! Do you struggle to find something to keep your children's interest? Are you looking for something fresh to spark a renewed love of learning? Or, are you just wanting a break from the world around you and wishing you had a decent selection of quality movies you could afford to choose from for your family to watch? 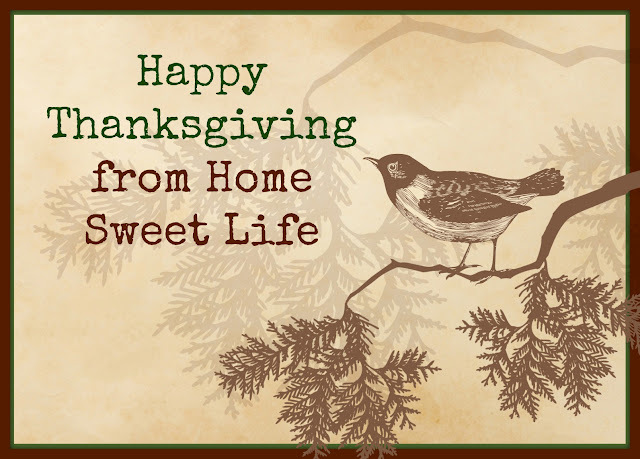 Normally, I would not send out anything this week of Thanksgiving that is encouraging you to buy something because I want you to focus on thankfulness towards God, and time with your family. I promise I am only sending this once! 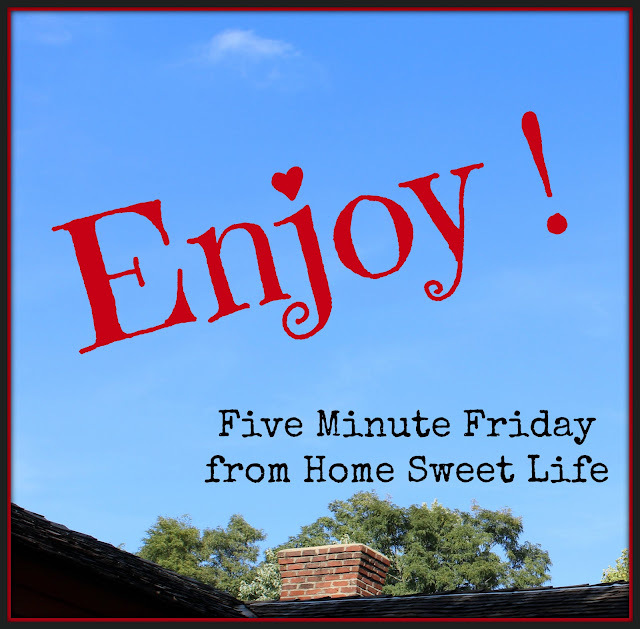 If you're not interested, just move on to our other posts from this week. Thanks! However, there is this one deal happening for only one week with SchoolhouseTeachers.com that I really think you might want to consider for your family. They have paired up with The Dove Channel to offer a year long subscription to BOTH The Dove Channel AND SchoolhouseTeachers.com for only $99 for a whole year of BOTH services for new members who use the coupon code: BF2016 Normally the combo deal would cost $199, so you can save $100 with the coupon code! There is a one-minute YouTube video on the SchoolhouseTeachers.com website that gives you more details. One more thing before I go, if you're really wanting to take advantage of this deal, make sure you don't delay as the discount code and coupon are only valid from today, 11/23/16 until next Wednesday, 11/30/16! If you are a Grandparent or family friend who wishes to purchase the SchoolhouseTeachers.com and Dove Channel membership as a gift, read the details on how to transfer a gift membership near the bottom of the page here. If you're wanting to know a little more about how we have used SchoolhouseTeachers.com ourselves, feel free to click over and read our reviews here and here. *Disclosure* This post contains our affiliate links to SchoolhouseTeachers.com. If you purchase a combo membership, or a one month trial membership to SchoolhouseTeachers.com only, we will receive a small commission which will be used to help in our homeschool and with our field trips! It isn't a large amount, but it helps - and we just want to say Thank you! 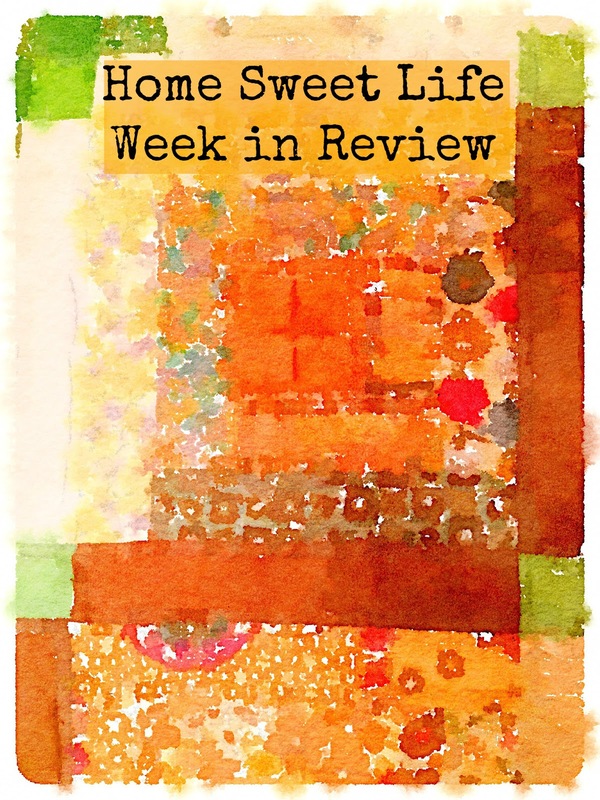 It is that time of year again to tell you about our favorite products that we reviewed for the Homeschool Review Crew this calendar year. The Crew families have voted, and while we are waiting for the overall results, I thought that we would share Arlene and my favorites for this year. There were a lot of categories to vote in, so let's just begin at the beginning shall we? I've linked our reviews for each of our choices, just click on their names. Tap My Trees' Starter Kit won our overall favorite product of the year for several reasons, but here are our top two: Making Maple Syrup was such a wonderful learning experience for our whole family, and it was SO DELICIOUS that we are going to do it again next year! We actually voted for Science Shepherd Biology three times. 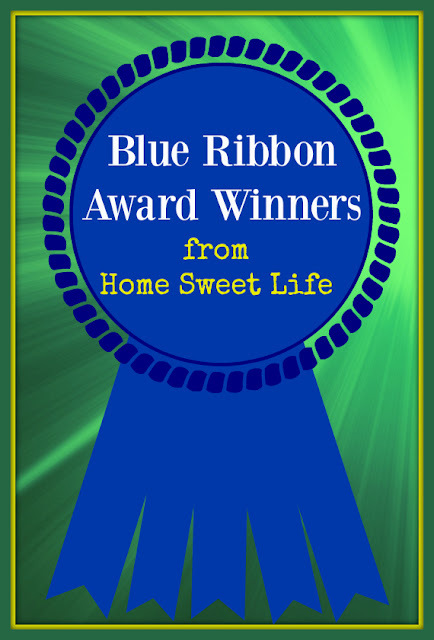 The third was in a special category entitled Christian Education Curriculum. This is your favorite curriculum that comes from a strong Christian worldview. This set is excellent! Arlene is continuing to use it all school year and doing better with it than any other Biology curriculum we've tried for her in the past. I didn't ask Emily about HomeschoolDiploma.com before we voted for them for her (she was at work, so we picked for her-LOL!) I know we were all impressed by her Diploma...which she will receive in two short weeks! We also recently ordered her graduation announcements from HomeschoolDiploma.com and they did a fabulous job! Heirloom Audio would get three or four votes if we could put it in more often. These are wonderful Audio Dramas that we still listen to often...especially for road trips! 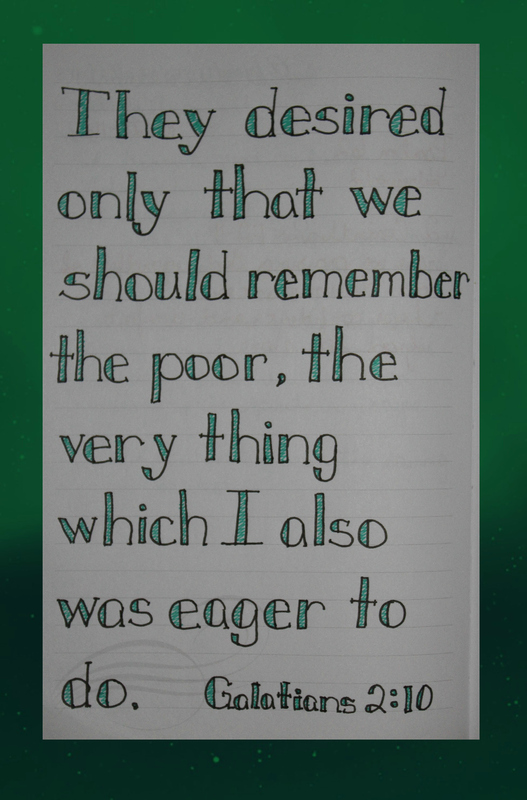 The Familyman's Christmas Treasury is a gem that Arlene and I continue to listen to over and over again. She has then on her iPad and we listen to them in the car at least once each week. The characters are intriguing and they continually point back to Christ's birth being the focus of Christmas! We love them. While we have wrapped up our reviews for The Homeschool Review Crew for 2016, there are still more great reviews coming soon! We will be posting an expanded review of 3 Seeds from Chara Games later this week, and we have another audio book drama to tell you about soon. Just in case you're wondering, YES! 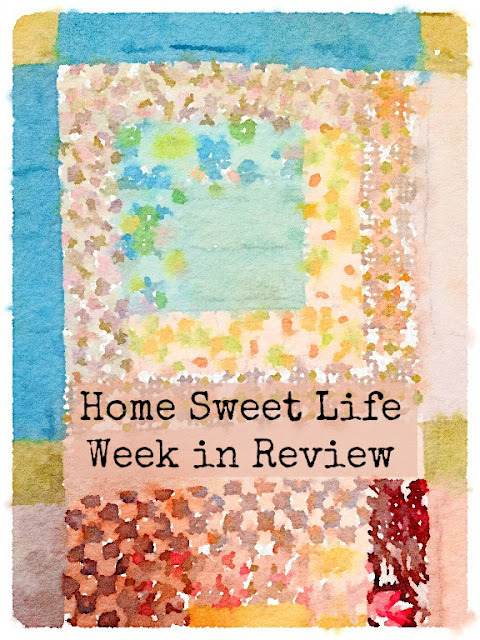 We will be on the Homeschool Review Crew for 2017 and hope to share with you more in-depth reviews of homeschool products. Here we are again, near the end of another week of our homeschooling life, and I am so happy you've stopped by to see what we have been up to! On Saturday the whole family (Kurt, Emily, Arlene, and myself,) got up and started layering early in the morning. We packed a lunch and an afternoon snack and we were in the car not that long after sunrise. Our destination? To see Bison and Sandhill Cranes. 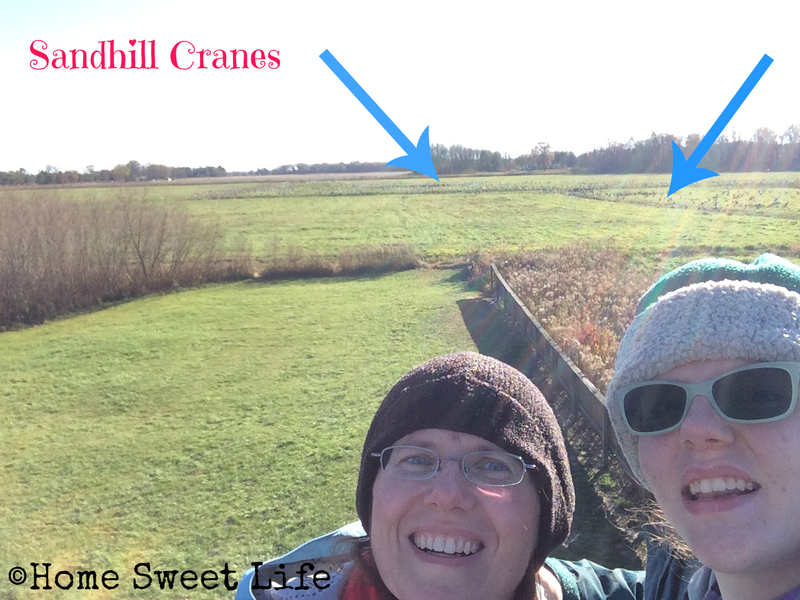 We had seen just a few of the Sandhill Cranes that spend Summers in Wisconsin and Winters in Florida a few years ago, but we knew we wanted to go to the Jasper-Pulaski Fish and Wildlife area about 100 miles from our home and see LOTS of them. It had been our family plan for over a month to go see them on Saturday. 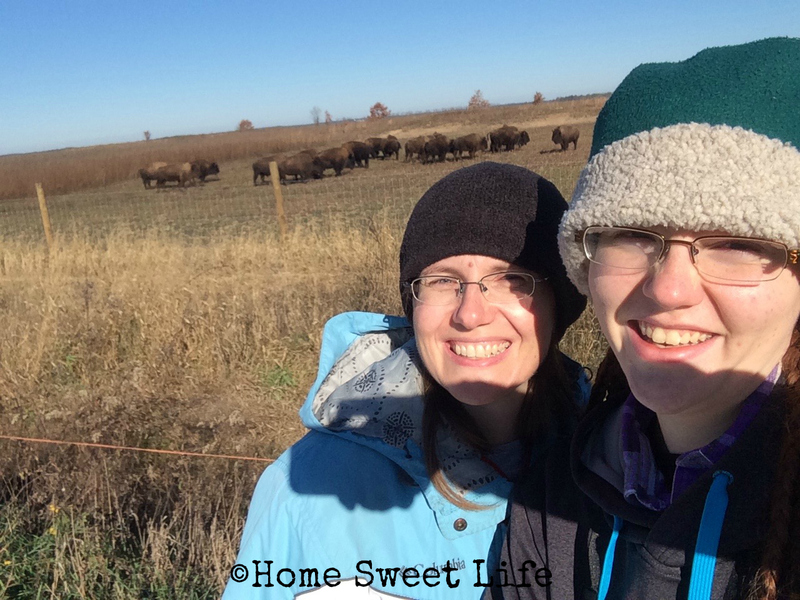 Then, when Arlene and I learned that The Nature Conservancy had returned free-roaming Bison to Indiana last month, and they were only 45 minutes from the cranes' stop-over, we added to our plans. It was a great day, lots of sun, not too much wind, and not horribly cold (a good thing in Indiana in November!) I'll have many more pictures to post soon, for a Road Trip post, but for now, let me tell you - we were NOT disappointed! We saw the Bison first - 22 of them, and they were really close to the fence so we got a lot of quality photos. Sorry to tell you, I haven't downloaded them yet, so here is a selfie of Arlene and I so you can catch a glimpse of the Bison. It has been about 200 years since the last known bison was killed in Indiana, so having a herd of them come back to populate a nature preserve during this, our Bicentennial year is really cool. Bison/ Bicentennial ...get it? Yup, silly but funny! After about an hour of watching the Bison trend back and forth between mannequin poses and chasing each other around the prairie, we decided to head over to Jasper-Pulaski. The sandhill cranes migrate through this area every year, sometimes having thousands in this one wildlife refuge area at a time. The highest count we had seen for this year was from earlier in the week when they estimated just over 10,000 cranes. There were not that many left on Saturday, but there were a lot, like maybe 2000?! I have some really cool pictures on my camera, and one of the other photographers there even offered to let me put my Canon camera body on his Canon lens (like they use for Pro Football games,) for a while in the mid afternoon. That was really awesome! I'll try to get the pictures ready to post soon. In the meantime, here is another selfie of Arlene and I. All of the tiny grayish dots in the background are Sandhill Cranes. There is one knoll in the field they were in that had so many of them on it that it reminded us of looking across a Civil War cemetery. What did we do the rest of the week? Tuesday - finish our review of The 101 Series' DVD set of Chemistry 101, and write a guest art book post for Annette over at A Net in Time. Pray for my friend Annette, as she found out she has pneumonia and had been wiped out. Wednesday - I had my haircut and then Emily drove us over to Kurt's parents for lunch. Oh yeah, and Emily spent a LOT of time addressing graduation announcements! Thursday- Grocery shopping with Arlene, and then we went to visit with my friend Sharra, who is fighting against cancer. I know God is working through it all, and I know He is glorified by all the love and help everyone has been giving Sharra and her family. Please keep her whole family in your prayers. Well, I had plans for Arlene to get a lot of bookwork done since we had been majoring in field trips recently...but... it was too nice out so we ditched the books and packed our bag for the gym. We went swimming (indoor pool, it IS Indiana people!) When we got done to was 75 degrees, sunny, but very windy! As I am sitting here typing I keep getting alerts on my phone that the huge line of severe thunderstorms is fast approaching, so I'm going to end now with this: Don't wait until tomorrow to tell your family that you love them! Do it today! 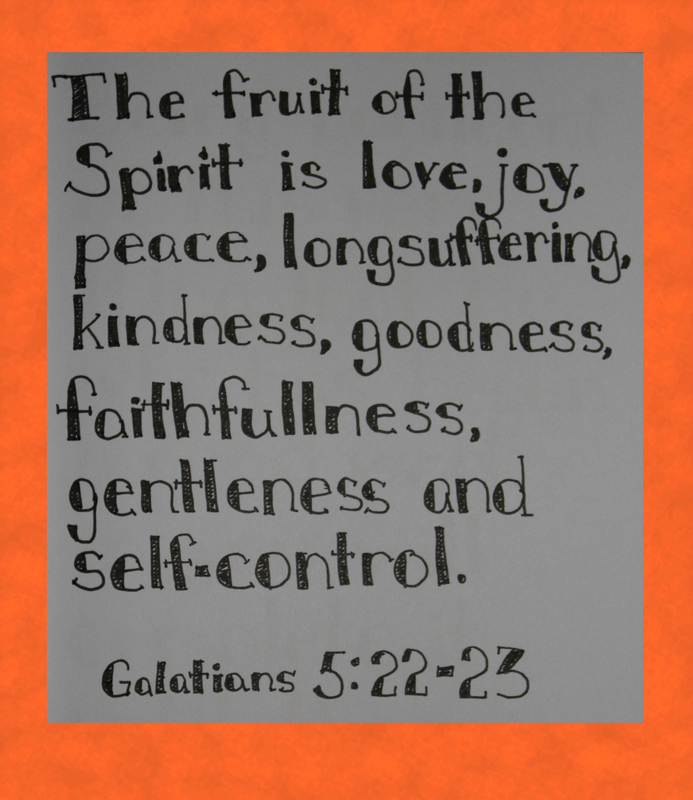 Enjoy each day as the gift from God that it is. Be the light the world around you needs. 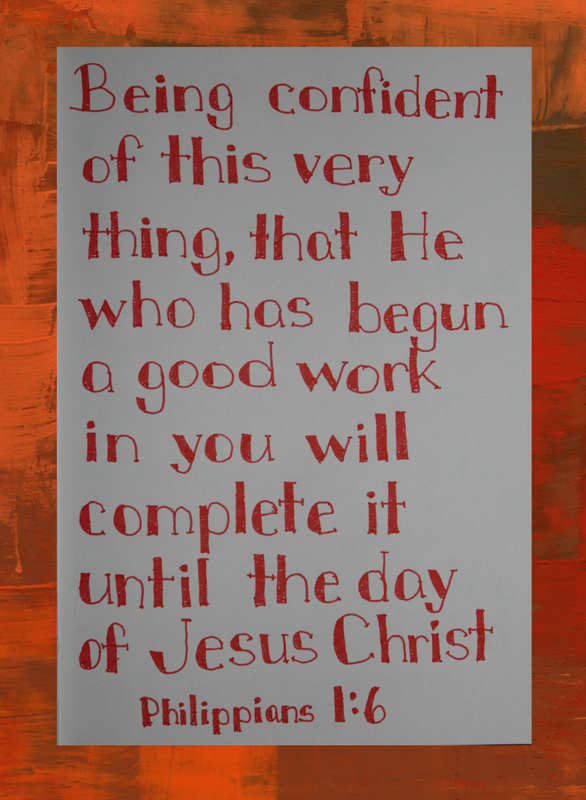 Everything of the world is just dross, time spent with Christ and time spent loving people in His name are the gold. 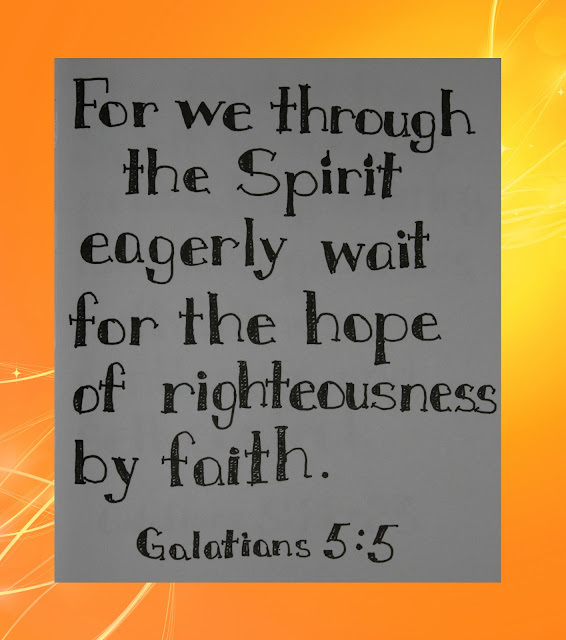 Linking up at Homeschool Highlights. Stop by again next week! What do you like to enjoy? 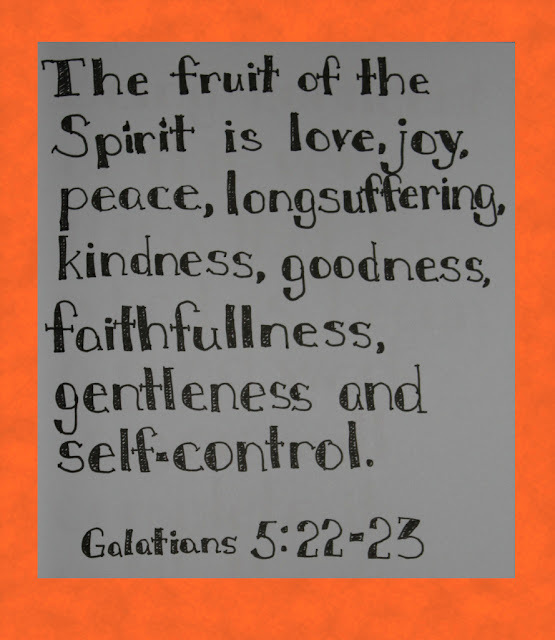 What is most precious to you? When I think of the word Enjoy I think of time spent with family and friends. When the girls were little I probably would have said "someone else making dinner" or "time away from home." 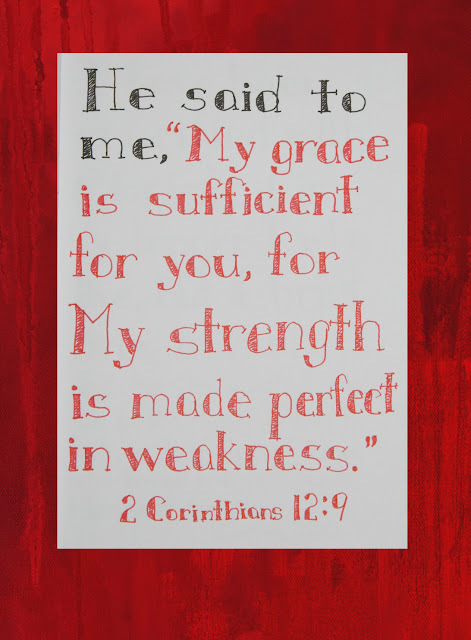 I'll be honest, God has been maturing me and now that we are at the other end of our girls' school years, He has really shown me what is important that I might have missed. I don't want to miss anything else! We enjoy spending time with our daughters, and now that the oldest is graduating and is gone four days a week at work, I realize how much I enjoy their company. Yes, there have been days when I couldn't wait for Kurt to get home so I could have a break from them, but now I look forward to when we are all home together. Today we had a really rare treat, one extra last warm day. Normally in November in Indiana Winter is beginning to bare its teeth and the wind howls and bites. Today it was 75 degrees and Arlene and I decided to ditch schoolwork in favor of a trip to the gym to go swimming. (Indoor pool, of course!) The joys of homeschooling! Still, the chance to be outside one last time without a jacket and to feel the warmth on our faces after we left the gym was worth it. Tomorrow it will be 40 and rainy, but for today, we enjoyed time together doing something fun. Life isn't always fun. I have two good friends battling cancer, and another one who is sick with pneumonia. These trials in their lives have been God's reminder to me that I need to enjoy each and every day. Live life and enjoy each days' gifts! Want to read more? Head over to Kate Montaung's blog for the linkup! When you think about teaching your children High School Chemistry are you filled with joy, dread, or something in between? There are many things to consider when choosing a Chemistry curriculum: do you want to teach the material, or simply enable your student to learn it; do you want one with more math, or less math; a traditional textbook, an online or DVD course, or some combination of book and video? 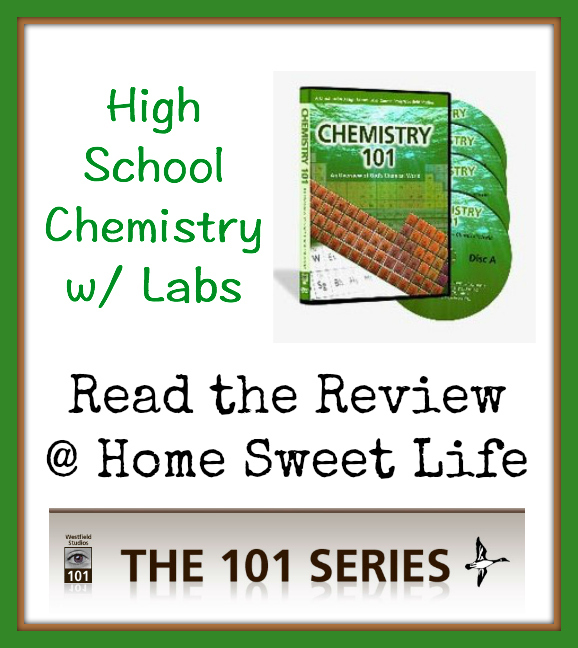 If your head is already reeling just thinking about all the options, take a deep breath and let me tell you about the Chemistry 101 DVD series that Arlene and I have been reviewing from The 101 Series as a part of the Homeschool Review Crew. The 101 Series are a selection of Biology, Chemistry, and Physics DVD based courses produced by Wes Olson and his family at Westfield Studios in Idaho. Wes and his wife Tammy, along with their four homeschooled children (3 graduated and one in High School) are the creators and producers of The 101 Series. Since Arlene and I have been reviewing the Chemistry 101 DVD set, we will focus there. When it comes time to consider High School science for your homeschooling family, you have a lot of quality options. What most of us do NOT have is an unlimited set of resources to try them all. That one key point makes it necessary for you to do some pre-planning and some research. What we have found is that there are three primary options: traditional textbook, online courses, and DVD based courses. Chemistry 101 fits the DVD based course option with some extra benefits. One concern I hear a lot from Homeschool parents who might be considering a DVD based science course is that they are afraid there will not be enough depth to the course, or that their student will finish the course without the required number of hours needed for their state's graduation accreditation. Chemistry 101 covers both of these concerns, but also has options for those who need an overview course, or help in understanding key topics they may be studying elsewhere. If your students attend a public or private High School and are struggling to keep up with and understand their Chemistry course, I recommend you get them these DVDs to watch as the Chemistry 101 videos make Chemistry interesting again... and fun. I have enjoyed hearing Wes present the basics of this course in an understandable, yet thorough manner. I wanted to know more about the technical aspect of how Wes came to write and produce the series so I did some reading. When Wes and Tammy's oldest children were ready for High School Chemistry, Tammy could not find a video based course she thought sufficient, so she asked Wes to create one. Since Wes's background is in filmmaking, he started out with a short video, then expanded upon it until it reached today's Chemistry 101 course. He spent about 4000 hours total over about 18 months, with help from his two boys, to research, plan, adjust, film, and produce the series. His technical advisor was a Chemist who had taught at both the High School and University levels and had authored multiple textbooks on Chemistry. This thoroughness of understanding the subject matter reassured me that the lessons would help Arlene learn well, without me needing to spend a lot of time on the course. As a homeschooling and working Mama - that is priceless! This is not a course for you to teach, this is a course taught by Wes Olson that enables your students to learn, to understand Chemistry, and to flourish. During the review period Arlene has been watching the video segments, we have discussed some of them, and she has done a couple of experiments. I have watched some of the videos with her, but not all of them. Because Arlene has already taken Chemistry, this was a refresher course for her. 1. On Disc D there are two PDF files you should either print out at home, or take to your local print shop and have printed and spiral bound. (If you can't print them out because of not having a computer, or not having local print shop, they are available to purchase already printed.) The two PDF files are the course accreditation file (23 pages) and the Guidebook with quizzes (128 pages.) On page 2 of the Guidebook is the copyright information to show to your print shop that you have permission to print it out for family use. All three of the courses: Biology 101, Chemistry 101, and Physics 101 are designed for ages 15 and up. 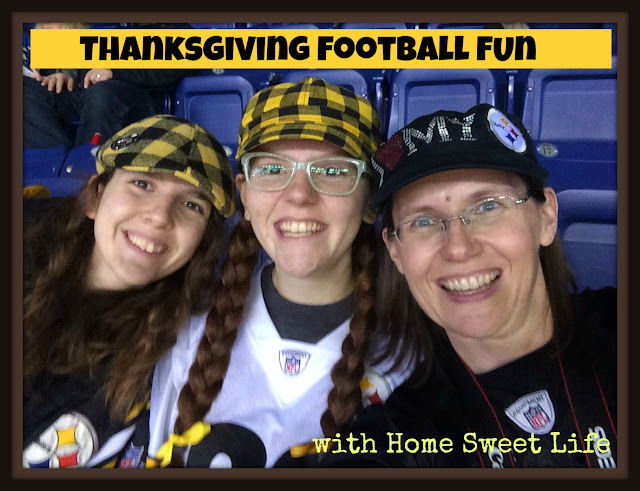 However, knowing how homeschool families like to work together, and Moms like to group their students, the Olson family chose each picture and video segment so it would be appropriate for the whole family to watch. Thus, feel free to have your younger children watch too, or pair a High School Freshman with their older sibling for this course! 2. Look over the one page supply list for the experiments and gather up your things. It is on page 4 of the Accreditation booklet. Then read page 3 of this booklet with your students! This guideline will help them see how they should be spending their 4-5 hours a week of Chemistry course time effectively. 3. Sit back, relax, and enjoy watching your children learn Chemistry on their own with the course. Or, work on reading or math with your little ones while the older ones are occupied. Or... take a nap. Naps are good for Moms of teenagers! What if your student just needs an overview, or you want a refresher course? Watch the videos. watch then again if necessary and pick out a few of the scientists mentioned to look up online or at your local library. Arlene wanted to do some of the experiments shown, but not all. A quick look at the supply list showed me that if she wanted to do them all I would need to purchase: red cabbage, a magnesium fire starter, a glow in the dark item, diet soda, and dry ice. What are our overall thoughts? We really like these DVDs. Arlene said they're fun videos to watch, and I thought the quality visuals Wes Olson uses in them reinforce the information covered quite well. I would recommend these videos for those who want a thorough High School Chemistry course that has a balance of labs, research, and enough math to learn Chemistry without being overwhelmed with too much equation balancing. If your student is planning on attending college and majoring in Chemistry, these DVDs would be a good supplement to a traditional math-heavy textbook course. 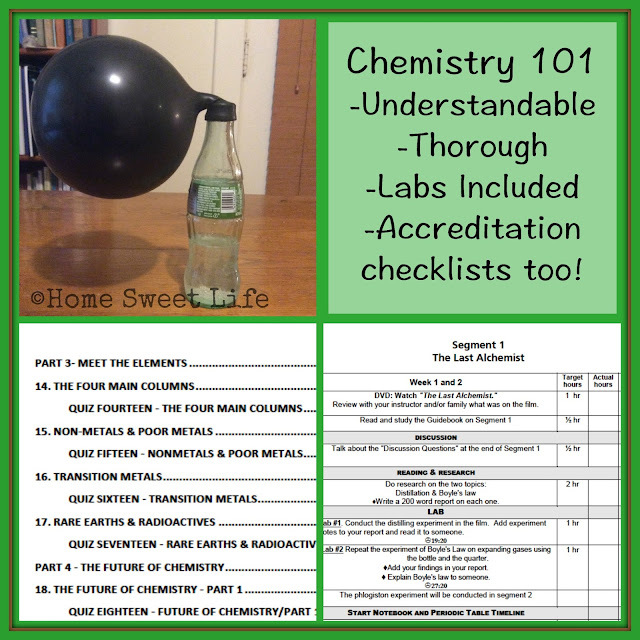 Before I send you over to read the other Crew familys' reviews of Chemistry 101, Biology 101, and Physics 101, I want to share a few more thoughts about this course and its appeal to working parents. Chemistry 101 retails for $69.99, or you can buy all three courses for $168.95, a discount of just over 15%. If you are a working and homeschooling parent like me, you are probably always keeping a running tally in your head of how much schoolwork you can actually accomplish with your student, and how much they need to be able to do on their own. You also keep mental budget, and know how much you have left for supplies. With the exception of the dry ice experiment in segment 15, and the fire starting one in segment 17, I would feel comfortable with Arlene (age 16) doing this entire course on her own, without any help from me. Of course, she would probably ask for help with a few of the other experiments, and I, or her older sister, or her Dad would be happy to help her. The point I'm trying to make is that Arlene would not NEED my intervention to get a quality education with this series. I think the $70 price tag for this course is a real bargain! When I consider that Kurt or I can earn that in less than a day at work, or I can spend weeks teaching a Chemistry course from a traditional textbook - yup, you guessed it - I'm all for this course! My only regret is that we didn't review Chemistry 101 before she took Chemistry the first time! Don't be afraid to put this DVD set on your wish list for the holidays. We have been blessed many times over by family members purchasing things for the girls to use for school for Christmas or Birthday presents... like a globe, and a microscope. 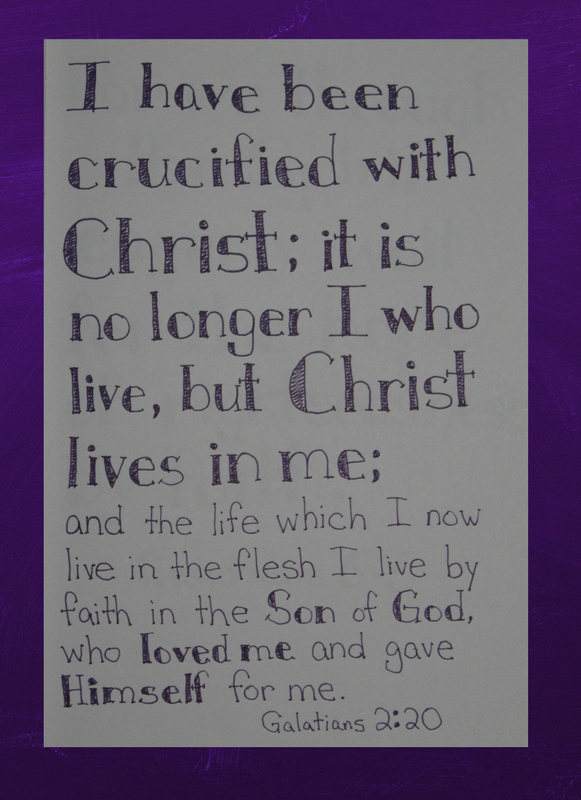 One of the joys of homeschooling is that your life does not need to look like everyone else's! If you really want this course for your older students (and I think you will,) and you've already used your science budget on other books and experiments, ask for it. Click on the banner below to read all the reviews!